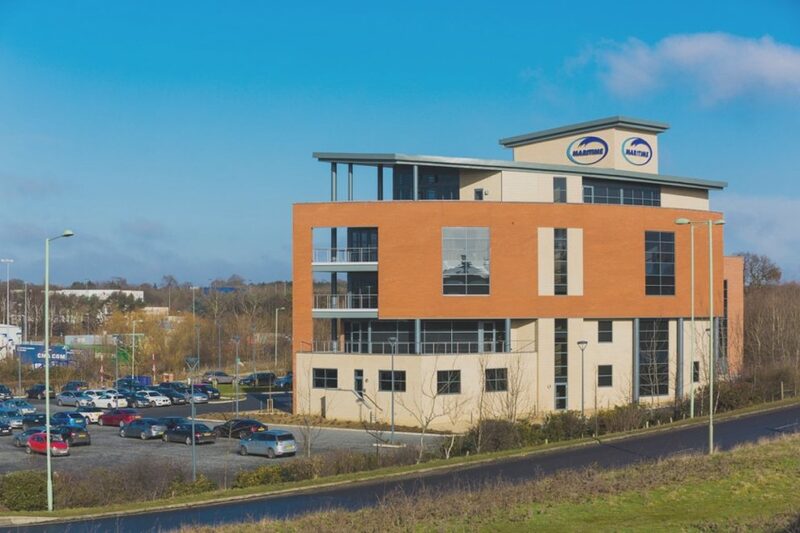 The Maritime Transport Limited new £5 million headquarters in Felixstowe has received the accolade of “Winner-Design (Non residential)” at the Suffolk Coastal Quality of Place awards held in October 2015. Designed by Architects, Wincer Kievenaar, the Maritime Headquarters office provides an impressive gateway to Felixstowe Port. 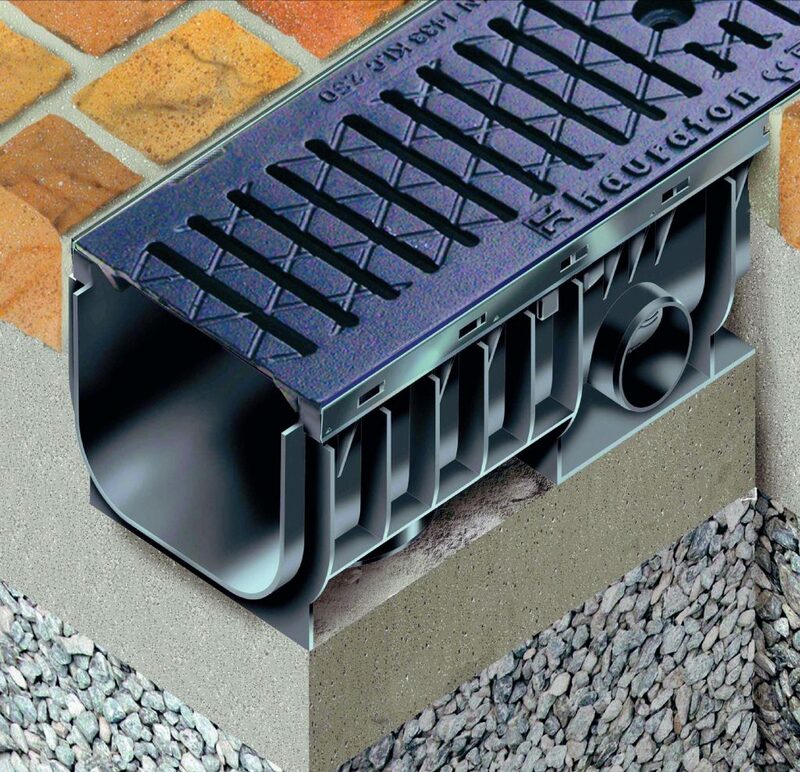 The Headquarters extensive car park, set with composite grey blocks is drained by 98 metres of Hauraton RECYFIX® PLUS 150 channels fitted with Class C250, HEELSAFE ductile iron gratings. A further 47 metres of RECYFIX® PLUS 100 channels were also installed in other locations on site. 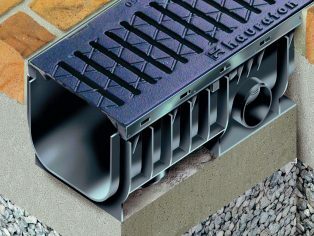 Technical information for all the RECYFIX® ranges, showing sizing and installation details, is available digitally on www.hauraton.co.uk – LANDSCAPING tab, as is a video “Why is RECYFIX® break-proof”. 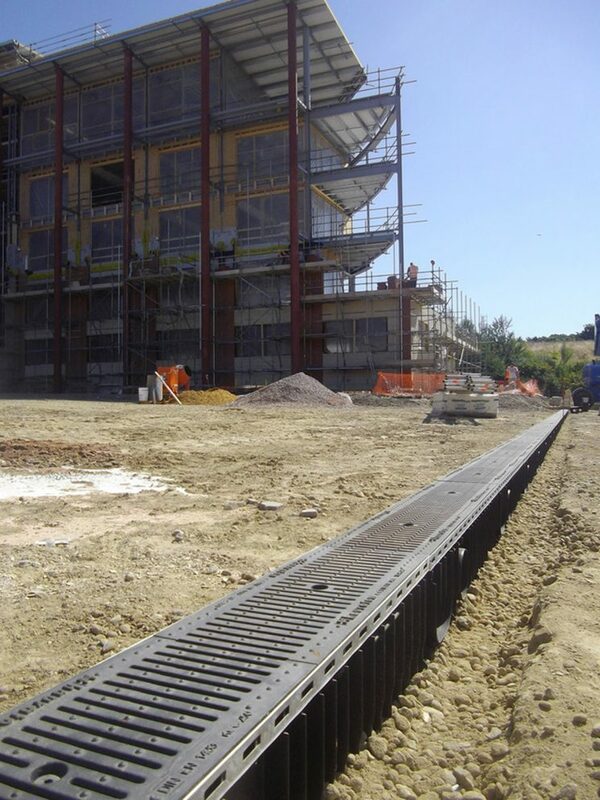 For case studies go to www.drainage-projects.co.uk.